If you think about certain “household names” when it comes to building products, Boon Edam may not be the first name to come to mind. If you’re from North America, it might be because the entry solutions manufacturer was born and has remained for its entire 140-year life in the Netherlands. But as the form and function of the modern workspace has evolved over the past century, Boon Edam has stayed at the front of the industry to provide entry solutions that meet global demands for efficiency and performance. As the following video demonstrates, the first revolving door patent was issued to American Theofilius van Kannel (anyone looking for baby names?) in 1888. Boon (the name was changed to Edam in 1970) later installed the first “Tourniket” revolving door in 1903. Fast-forward a handful of decades and the newly named Boon Edam began to expand into the global market during an explosive season of growth in urban areas. Then, for the 2003 centennial celebration of the “Tourniket,” Dutch Queen Beatrix granted Boon Edam the title of “Royal,” leaving the global company with the proud title of Royal Boon Edam. 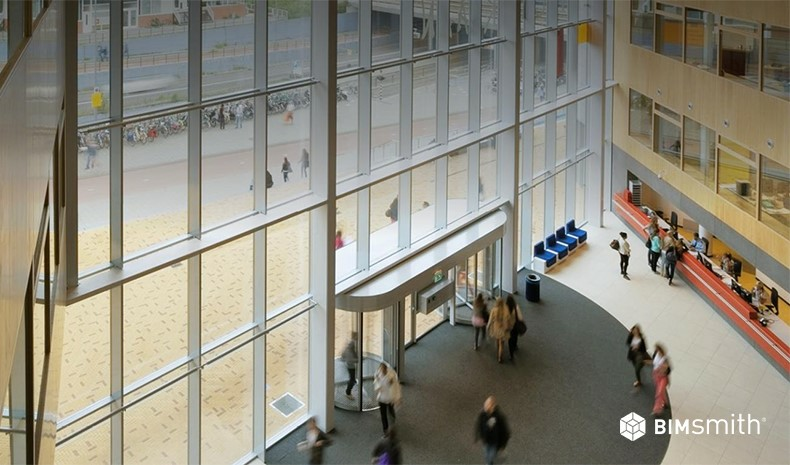 The entryway in any building is just that – the point where everyone enters. 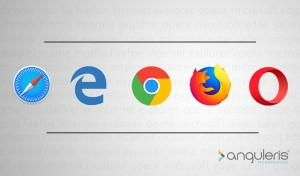 But it’s more than that – for many, it’s the first tangible impression a customer or client will have of a business environment. It’s typically one of the few touchpoints that is standard across all stakeholders, whether builders, employees, clients, investors, tenants, or anyone else. And yet, especially in light of recent security tension around the world, the entryway has a high calling as a barrier to security threats. 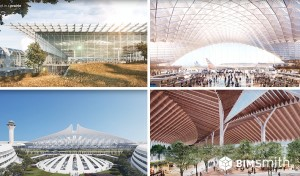 The desire for form must match the need for function. 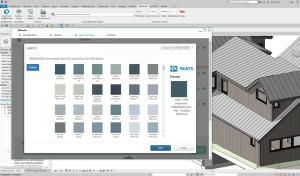 Take a look at some of our highlighted Boon Edam BIM content, then start designing your next commercial entryway in Revit with BIM by Boon Edam. 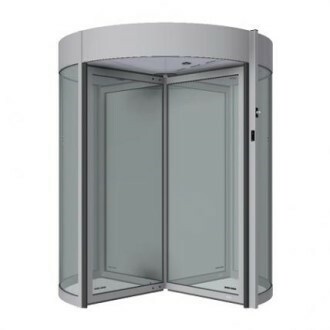 Description: The Tourlock 180+90 is an automated four-wing security revolving door. 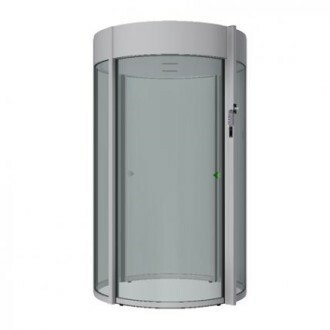 It is the most advanced, high security revolving door in the Boon Edam product range that offers maximum throughput, allowing users to enter and leave the building simultaneously. An optional piggybacking detection system for the Tourlock 180+90 is StereoVision 2®, which recognizes shapes, size and volume in three dimensions using time of flight technology - a combination of near-infrared and optical sensors. By analyzing this data, the system determines the number of people attempting to enter in a single compartment on one authorization and stops the door when a violation occurs. The Tourlock 180+90 is a truly "unmanned" security solution, and allows facilities to reallocate existing security guards/staff to other areas of the building. Because of this reallocation, the Tourlock 180+90 security revolving door has an average ROI payback of just 1-2 years. Description: When it is imperative that only the right person enters an area of your building, there is only one security solution that will do: our Circlelock high-security portal will prevent any attempt to gain unauthorized access and, with the inclusion of a biometric access control system of your choice, confirm the identity of the user entering. A circular portal with two curved sliding doors, the Circlelock opens the outside door upon authorization of an exterior access control system. Once the user has entered the portal, our StereoVision 2® system determines that the user is alone. 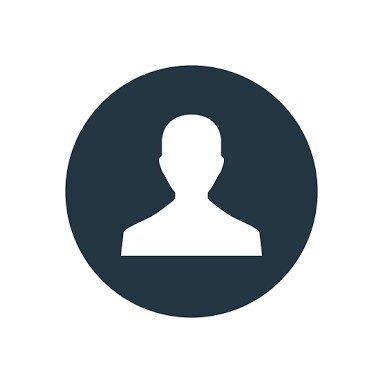 At this point, an optional biometric identification system can confirm the identity of the user. When a clear signal is given, the second door opens and the user can enter the secured area. Description: The Speedlane Open assists with channelling the flow of people entering and moving around buildings. Commonly operating in multiples, it acts as a boundary between public and private worlds, guiding users to their destination under the watchful eyes of a security guard. It interacts with both worlds to ensure the right people are channelled to the right place, alerting security guards if there is a breach of access. 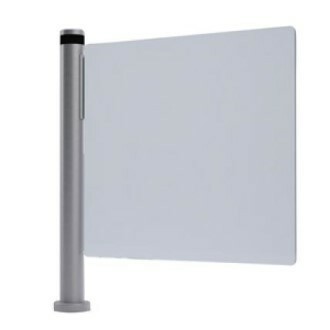 Part of the Lifeline series, the Speedlane Open has been designed to the highest standards, ahead of industry trends. Description: The Winglock Swing is undeniably the sleekest gate on the market today. Constructed from stainless steel and a single glass panel, the lane is elegant and unobtrusive in nature and design. 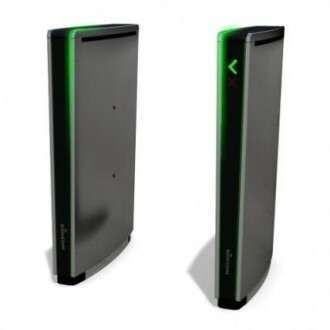 The access gate is designed to manage bi-directional traffic with ease, using smart, intuitive technology to guide each visitor through to their destination without delay or inconvenience.